Psalm 71 could be called, “Psalm for the Seasoned Saints.” That’s a nicer way of saying, “Good News for Geezers.” Actually, this psalm speaks to all of us, not just us in the 50-and over crowd. 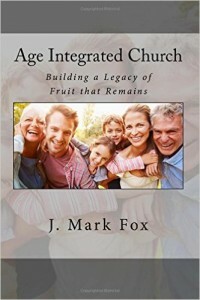 God instructs us to honor the seasoned saints, saying in Leviticus 19:32, “You shall rise before the gray headed and honor the presence of the old man, and fear your God: I am the Lord.” There’s a place for gentle humor with each other and with birthday cards for people turning 50 or 60 or beyond. But there is also a place for honor. May I make a few practical suggestions as to what it means to “honor the presence?” First, it’s not a good idea for children to call adults by their first name, in my opinion. Second, it is good training for all of us, not just the young, to practice smiling and greeting those older than we are, looking them in the eyes and asking, “How are you?” Third, I believe saying “sir” to men and “ma’am” to women is a show of respect and just plain old good manners. Finally, it is a good idea to seek out the older, godly saints for their counsel and their prayers. That’s some counsel for the younger. What does the Bible say to the older believers? Psalm 71, again: “O God, do not forsake me until I declare Your strength to this generation, Your power to everyone who is to come.” This is as strong an argument as you will find anywhere in Scripture that if there is a retirement for believers, it is simply a move from full-time job to full-time ministry. Every one of you who is now working a full-time job at the school, the local business, the factory or the home is working two jobs. You are also full time in the ministry: remember, “In Him we live and move and have our being.” And if one day you retire from the business or the school or the factory and the kids are all grown and gone, that’s great news! Now you can devote all of your productive hours to full-time ministry. Praying. Serving. Preaching or teaching. Church planting. Maybe even going to the mission field, to the 10-40 window. But the idea that there is a golden age of retirement when we get to just sit and watch the flowers grow or watch the little white ball disappear down the fairway or collect all the seashells we can find on all the beaches of the world … is simply a shame and a waste and something that would have been unthinkable to any of the disciples in the first century. We need a biblical view of growing older, as we need a biblical view of every other part of life. There is one place to find that.